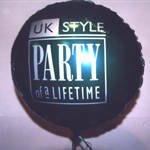 Balloon printing on high quality latex or foil balloons for all your corporate event needs. Do you need to promote your company or event? 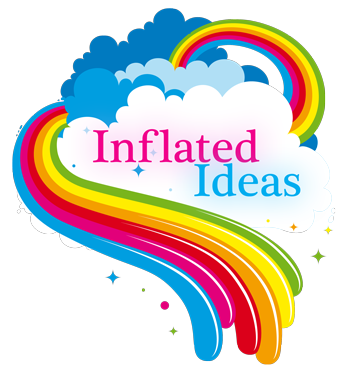 Inflated Ideas can supply all your printed balloons for your event, using only the best quality latex or foil balloons we can supply balloons for either air or helium filling. Provide us with your artwork or let us be creative with your chosen design. We can either supply you with the balloons or we can use them alongside our decorating knowledge to create a truly stunning effect, the choice is yours.. Balloon printing is the ideal way to promote an individual company or event, or to add a personal touch to weddings, birthdays, anniversaries and all special occasions. Our unique 4 colour screen printing gives bright, colourful and pin sharp logos, graphics and text. 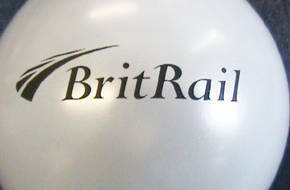 We print on both latex and foil balloons so whatever your requirements we will guide you through the options. For our balloon printing price list please see below. All prices for latex and foil balloons are plus carriage. Don't Forget the screen set-up charge when working out the cost of your balloons.